FOUNDERS of start-ups usually have plenty of passion but their inability to roll out viable business plans and tendency to focus on short-term success rather than long-term strategy means failure is often inevitable. That is the sobering message from serial entrepreneur and venture capitalist Ike Lee, who has almost 30 years of experience in the tech industry. The US-based Mr Lee, 59, said: "They (may) have the right idea, passion and business plan but the wrong timing, like the 9/11 terrorist attack in the United States which impacted the economy. There's nothing you can do in such a situation." 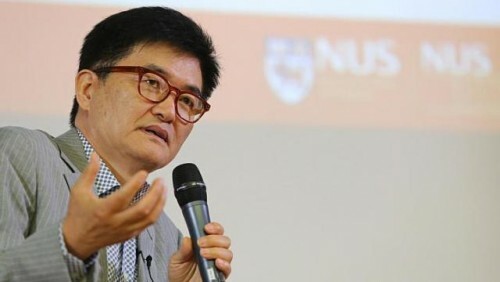 He told about 200 students, entrepreneurs and academics at the National University of Singapore (NUS) last Friday that successful founders are those who live "it for 25 hours a day for eight days (a week)". "They have focus and failure is not an option. This is what it takes to succeed," he said. Successful founders are also not afraid of taking that first big step, said Mr Lee, who was born in South Korea and is now an American citizen. Once they know they have good ideas, they seize the moment and launch their start-ups. Mr Lee was speaking at the inaugural seminar for Global Start-up@Singapore, a new networking platform to help local start-ups and entrepreneurs expand overseas. It was organised by NUS Enterprise and the NUS Business School. NUS Enterprise is the university's start-up incubator. Its director, Professor Wong Poh Kam, said Singapore has developed a good ecosystem to nurture start-ups over the past 10 years with strong government support. "The next phase is to go beyond by helping Singapore-based start-ups to grow by going global," he added. Besides bringing in experienced investors and entrepreneurs like Mr Lee to inspire local start-ups as well as provide mentorship and contacts, NUS Enterprise will initiate how-to workshops on a series of topics start-ups need to know when they go international. The first, in August, will deal with crowdfunding, followed by one on how to tap the expertise of NUS Enterprise overseas offices in Silicon Valley and China. Another workshop will be held on international regulatory compliance for biomedical devices and electrical/electronics products, he added.